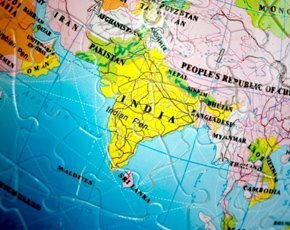 The opening of an IT service centre in Chennai last week will kick off AstraZeneca’s bold insourcing strategy, announced earlier this year, and focus on a trend that is seeing large businesseses invest in global delivery operations. The Chennai operation will start with 60 employees and increase to 300 in first year of operation. It will be focused on SAP, infrastructure operations, application development and maintenance, as well as cloud and mobile. AstraZeneca is also planning to open delivery centres in Eastern Europe and California as part of the strategy. In February, the company said it planned to move from having 70% of IT outsourced to just 30%. "We want to become a world-class IT shop, with both classic IT ops and a big emphasis on innovation," said AstraZeneca CIO, David Smoley, at the time. He also said the company wanted to gain control of IT operations perspective with some efficiency. Suppliers, such as Accenture, Infosys, HCL and Cognizant, are expected to lose business. More large companies are taking IT in-house but want to retain offshore delivery. Last year German car manufacturer Daimler said it planned to achieve savings of €150m a year by bringing IT services in-house and expanding IT operations in India and Turkey. And in 2012, General Motors said it would insource about 90% of its heavily outsourced IT operations. Peter Schumacher, CEO at Value Leadership Group, said the management consultancy recently met with 40 of the world's largest customers of offshore services in the USA and Europe. "While maturity levels vary and business imperatives differ, a common theme is that large buyers are now taking a more sophisticated, global, and integrated view of their sourcing options across their operations and global locations. Are captive centres back in fashion after lull? He added that the most sophisticated corporations are striking a healthier and more differentiated balance between procurement, operations, and organisational development. Global delivery strategies involve setting up hubs to serve the business and customers in certain regions. There is a lot of choice today with governments seeing the provision of IT and business services as an economic opportunity. The recent 2014 Global Services Location Index, from AT Kearney, outlines the most advantageous places to outsource services too, which is relevant when making decisions on where to set up global delivery units. It looks at factors such as the cost of service and the availability of skills. Asian countries dominate the management consultancy’s index of the top 50 global locations, with India (1), China (2) and Malaysia (3) making up the top three. Eastern and Central Europe also feature in the index – Bulgaria (9), Poland (11), Romania (18), Hungary (31), Czech Republic (33) and Slovakia (35). Latin America has two of the top 10 outsourcing locations with Mexico (4), Brazil (8), Chile (13), Costa Rica (24) and Columbia (43) also in the index. The Middle East and North Africa region featured Egypt (10), Tunisia (28), Morocco (34) and Mauritius (36) at in the index.